The Polit Bureau strongly condemned the Israeli military attack on Gaza. The aerial bombardment followed by the ground invasion of Gaza for the past nearly two weeks has led to the death of 386 Palestinians. The brutal and indiscriminate violence has killed more than 60 children. Israel has been subjecting the occupied territories and the people of Palestine to continuous violence and this is the third attack on Gaza in the last six years. The United States of America has supported the military action taken by Israel. 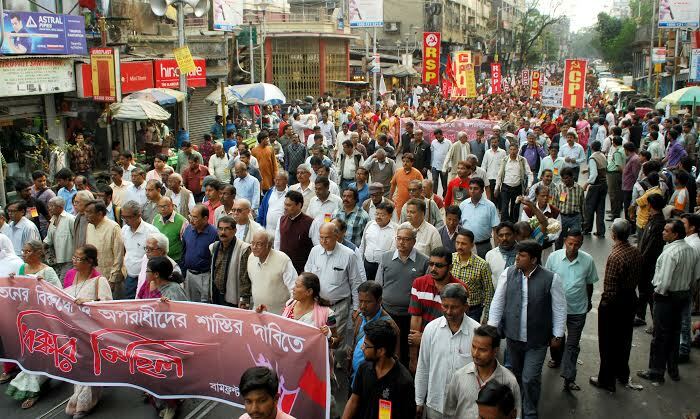 The Polit Bureau strongly criticized the BJP government for refusing to condemn the Israeli aggression. Earlier the Ministry of External Affairs had issued a statement equating both sides as responsible for the violence. The government’s attempt to avoid a discussion in the Rajya Sabha is most objectionable. The Polit Bureau demanded an immediate halt to the Israeli attack and the withdrawal of all its forces from the territory of Gaza. The railway budget has proposed FDI in the railway sector and reliance on the PPP model for its future development. Prior to the budget passenger fares were hiked by 14.2 per cent and freight charges by 6.5 per cent. Periodic passenger and freight charges will be determined by the fuel price index as decided earlier by the UPA government. 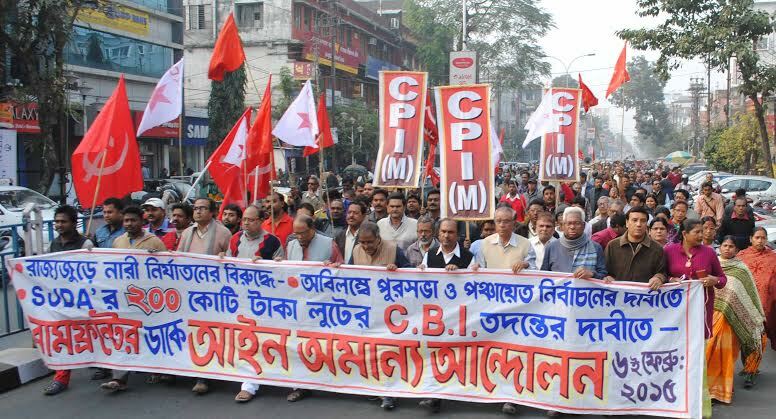 The CPI(M) is opposed to the increase of FDI in defence production to 49 per cent. Foreign arms companies getting a controlling stake in the defence production enterprises will be detrimental to national sovereignty. Entry of US arms companies into this sector will only lead to further dependence on the United States for India’s strategic interests. 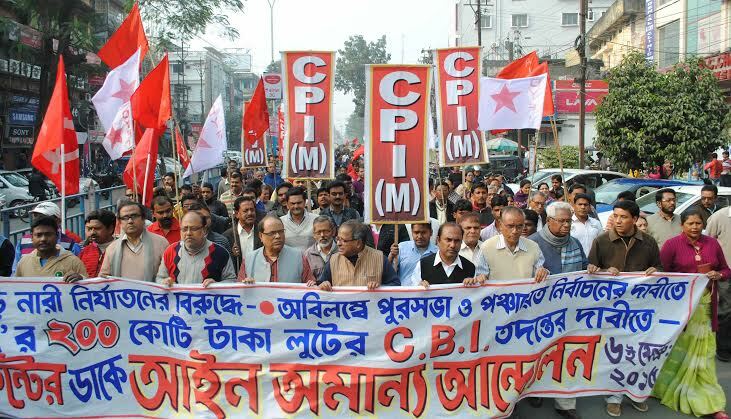 The CPI(M) is strongly opposed to the proposals for further disinvestment of shares in nationalised banks and the proposed massive disinvestment in the shares of public sector enterprises. All these steps are being taken to appease Indian big business and international finance capital. The Modi government’s failure to curb price rise has been exposed within a short time. The government is pursuing the same policy of deregulation of petroleum prices. Petrol prices were increased by Rs. 1.69 per litre and diesel had been raised by Rs. 0.50 in May and June. Railway freight fares have been hiked steeply. All this has contributed to the price rise of essential commodities and there is no let up in the food inflation. The government has announced its intention to bring in labour law reforms. Already the BJP government in Rajasthan has proposed amendments to the Industrial Disputes Act, Contract Labour Act and Factories Act. The changes proposed do away with existing safeguards for workers in the case of retrenchment, rights of contract workers and so on. 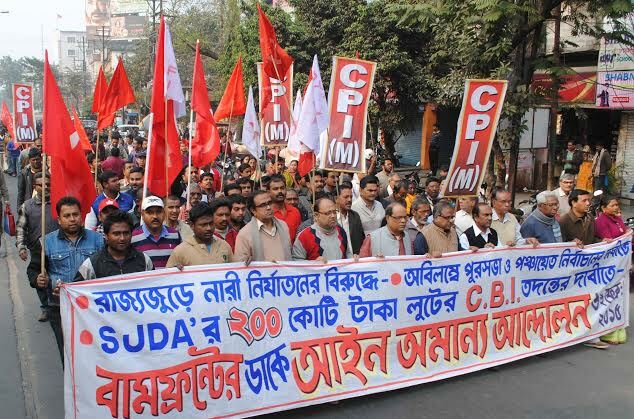 The CPI(M) is totally opposed to any dilution or doing away with the rights and safeguards provided to workers which are in the existing labour laws. Many of the provisions in these laws are not being implemented. 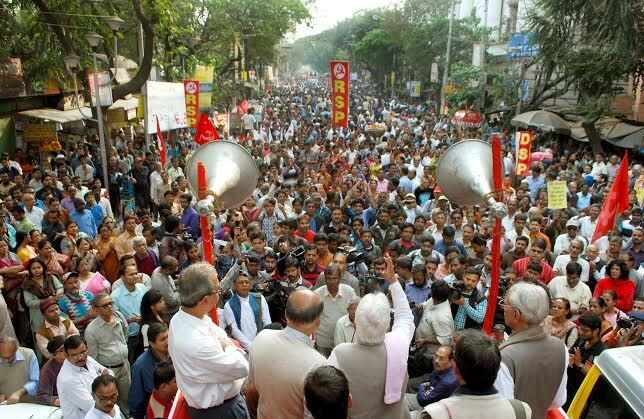 The CPI(M) will mobilize the working class to oppose all such changes which are detrimental to the rights of workers. The Polit Bureau cricitised the manner in which Governors are being changed and new ones appointed. The BJP is misusing the office of Governors for its narrow partisan ends just as the Congress has been doing in the past. It is wrong on the part of the Central government to appoint a Governor in a state without consulting the Chief Minister. 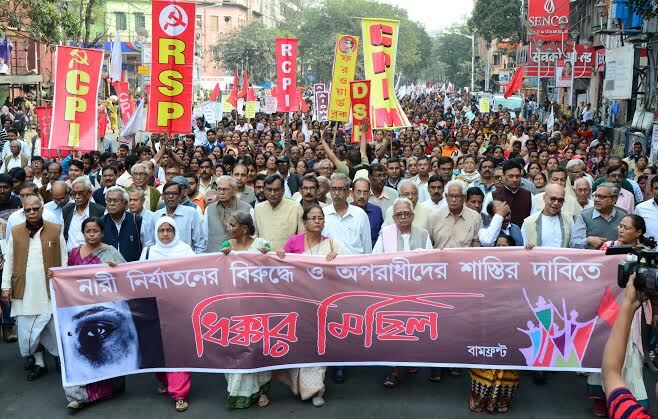 The Polit Bureau reiterated that the Central Government should adhere to the principle that a Governor should be appointed after consultation with the Chief Minister of the state concerned. 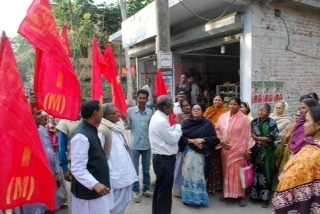 The Polit Bureau congratulated the CPI(M) and the Left Front in Tripura for the sweeping victory in the three tier panchayat election. 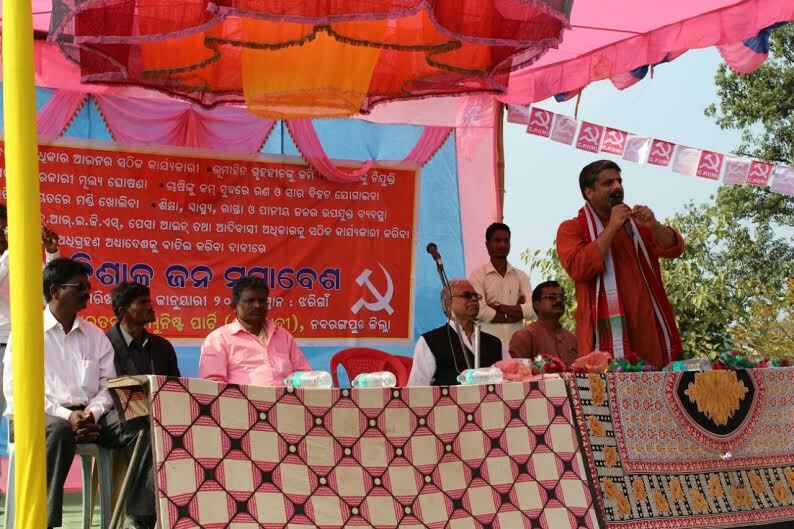 The Left Front has gained a majority in more than 95 per cent of the gram panchayats; 97.6 per cent of the panchayat samitis and 99 per cent of the zilla parishad seats. 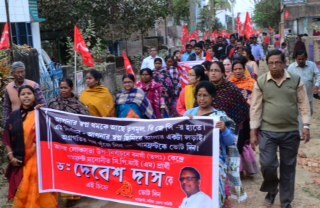 The Polit Bureau greeted the people of Tripura who have reposed their faith in the CPI(M) and the Left Front in such a spectacular fashion. The Polit Bureau discussed the time table of holding the Party conferences in the run-up to the Party Congress. These will be placed before the next Central Committee meeting for finalization.